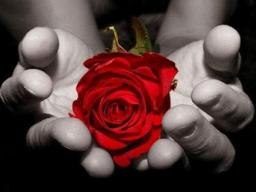 The Rose Touch is my own form of Quantum Healing, and one of the new healing modalities, that is connecting you with your eternal self. It is my honor and privilege to connect for that once a month with people all over the planet in a free group Session. Most of them are connecting via the heart, without technical devices. But you can join here, to experience the frequencies of Love, Joy, Peace, and Compassion while the Rose Touch with other people.